All Basa Body products are made with Virgin Organic Coconut Oil that is easily absorbed into the skin and has natural antioxidants that are antimicrobial, antibacterial, and antifungal. Basa Body products help promote healing and give skin a healthier, youthful appearance. Our high quality and superior body lotion is only part of our story. 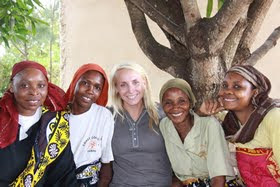 The Basa Body story began years ago with a single trip to Kenya. 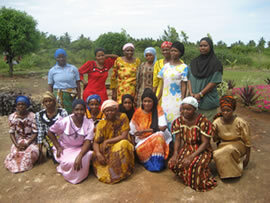 We connected with wonderful, intelligent women working hard to feed their families. Their small-scale enterprise was called Coast Coconut Farms, where they produced virgin, organic coconut oil by hand. Intrigued by their commitment, skill, and entrepreneurial spirit, we were determined to help these women tell their story and grow their business. 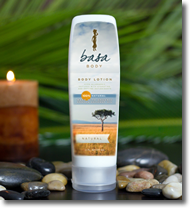 The result is Basa Body, named after the women of Mombasa, Kenya, where Basa's coconut oil is produced. Our story doesn't end their either. Basa Body growing in the United States and we are creating jobs here as well. We invite you to first share our great product and then help us share the mission and vision behind the product. It really is the team and idea that build a great product. I really love this lotion, though I would much prefer to call it oil. Yes, it has an oily feeling when you apply it, but that is the natural oils at work, moisturizing your skin. I used this product on my legs, specifically, each time I shaved. Well, after the shave. My legs days later are still soft, and the hair when it goes in feels softer too. Plus I LOVE the smell. It's wasn't like a familiar coconut smell, but then again, it was. You would have to actually use the product to know what I mean though. Women everywhere will enjoy this stuff though. So get some, maybe it could make a great stocking stuffer. Awesome! Coconut is my favorite but not all that easy to come by. Great post and great review! My skin is so dry in the winter. This product looks like an excellent one to use! I love that it's natural ... but I also love how the product helps others. I like that this product benefits the women of Kenya. I could definitely use it on my dry skin. Thanks for a nice review. This would definitely awesome for my dry skin in the winter. It is winter and I sure could use this lotion.